Hostel Boudnik is newly opened hostel with nicely decorated rooms. Each room is different and unique. You can use many design pieces in our rooms. We are located in Zizkov district where you can find many pubs, bars and small stores nearby. 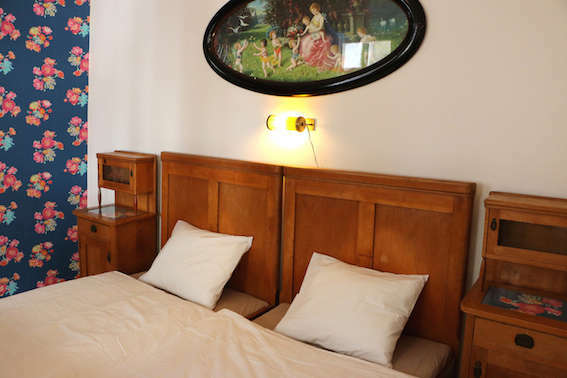 Hostel Boudnik offers both small and big dorms, and also private double or triple rooms. We’ve designed our rooms with inspiration of czech interesting personalities and their lifes. Each room is unique. There are 15 rooms with 97 beds in total. Parking is available 600 metres from us for 4 EUR per 24 hours. We know Prague well, we can help you to plan your trip. There are shared bathrooms, dining room, lounge and kitchens. Free wifi is available in all parts. We have nice courtyard to chill and meet other travellers, typical Zizkov balconies and nice view from the rooms. From Main train station HLAVNI NADRAZI or HL.N.